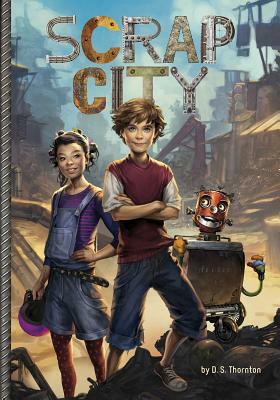 Capstone Young Readers, 9781623702977, 352pp. Would you believe that under the ground, right beneath your city, was another city? Would you believe it was populated with Scrappers, people built of metal and glass? Jerome has no choice but to believe it after he meets Arkie. Arkie is a Scrapper, and he and Jerome quickly become friends--maybe even brothers. So when Arkie's city is in danger, Jerome knows he must help. But helping Arkie means hurting Jerome's dad, the only real family Jerome still has . . .